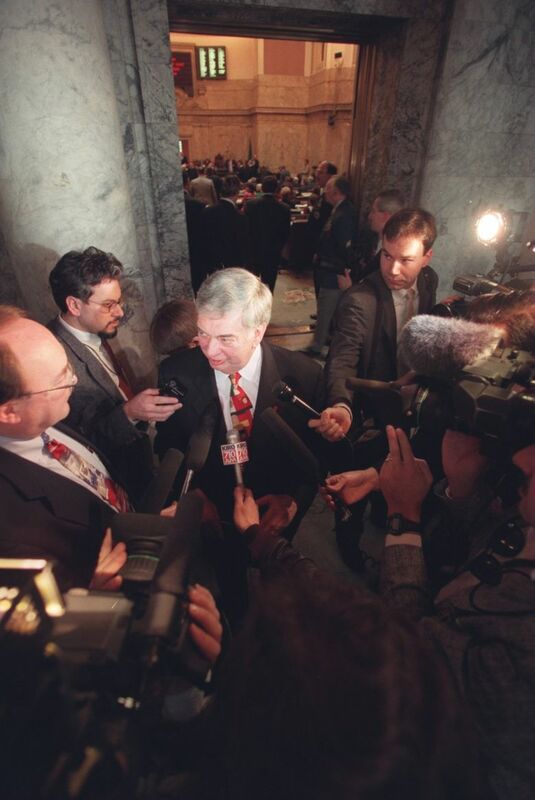 Lowry, a proud, liberal Democrat, was Washington governor from 1993 to ’97 and served in Congress for a decade before that. He died of complications from a stroke. Former Gov. 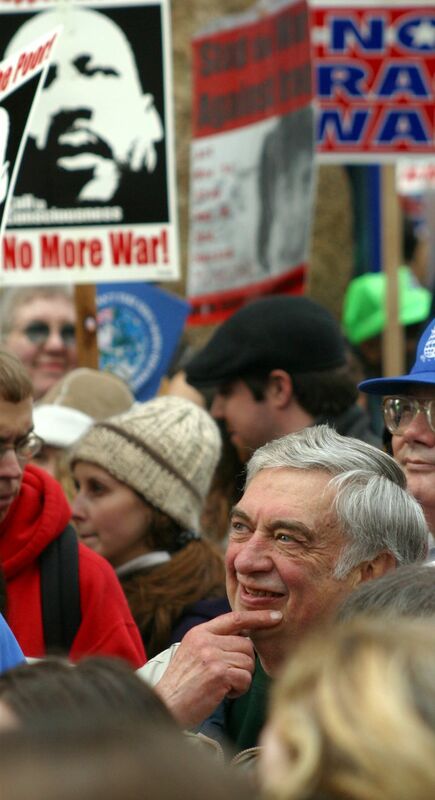 Mike Lowry, a proud liberal Democrat who championed causes including universal health care and reparations for Japanese Americans interned during World War II, died Monday. Gov. Lowry, 78, died following complications from a stroke, according to a statement from his family released by Gov. Jay Inslee’s office. “Mike Lowry served with compassion and humility. He had a big heart and cared deeply about the people of this state,” Inslee said in a statement. 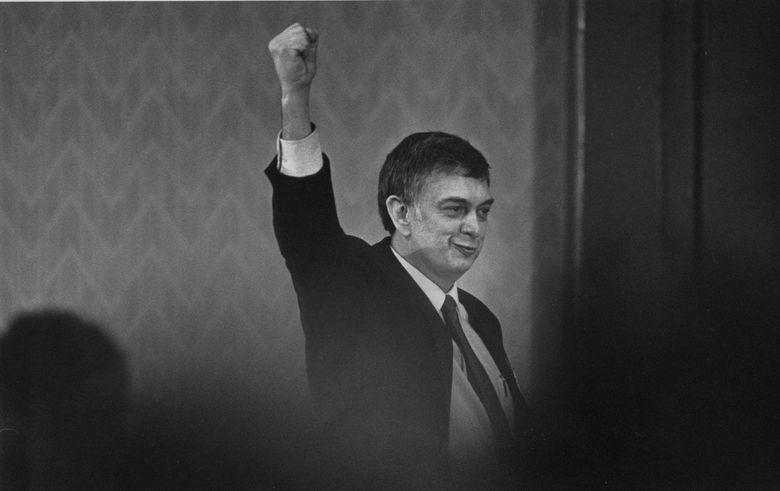 A passionate speaker prone to emphatic hand gestures — a “vociferous, table-pounding liberal,” as local history nonprofit HistoryLink put it — Gov. 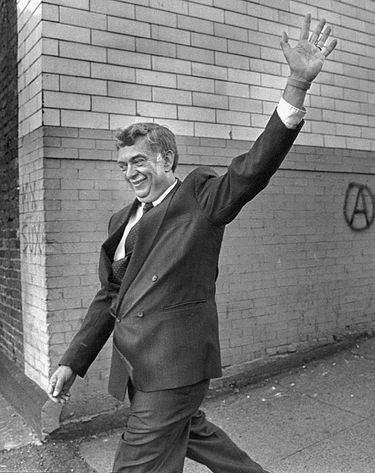 Lowry spent nearly two decades as a leading force in Democratic politics. 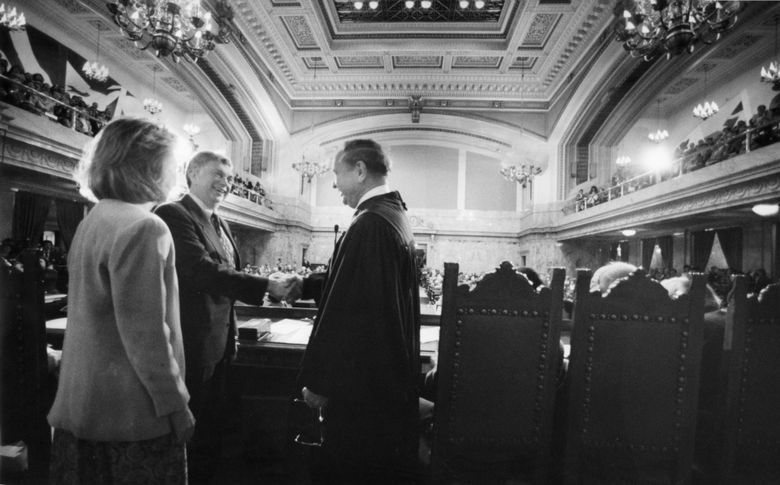 The Renton Democrat was first elected to the Metropolitan King County Council in 1975 and then to the U.S. House of Representatives in 1978, representing the 7th Congressional District for 10 years. 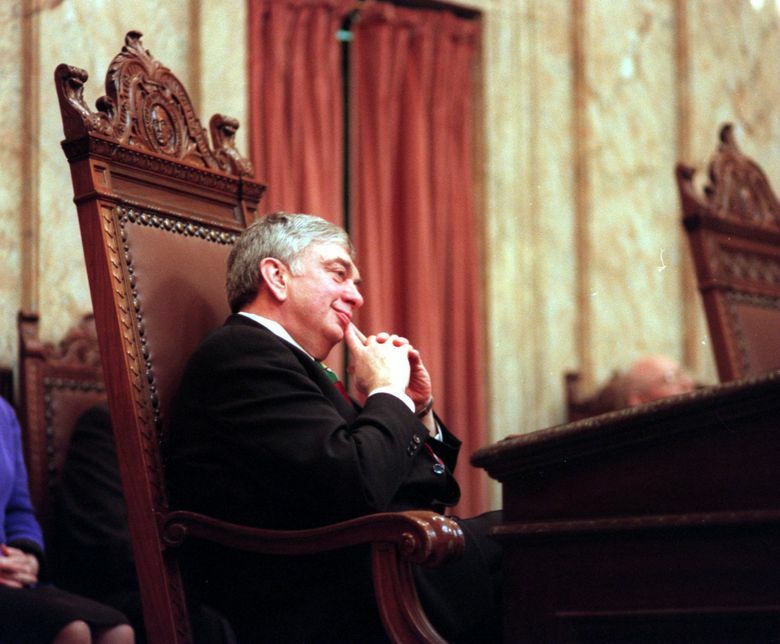 He served as governor from 1993 to 1997, a tumultuous single term marked by fights over health care and taxes. His term ended on a sour note with a decision not to seek re-election amid accusations that he had sexually harassed multiple women. 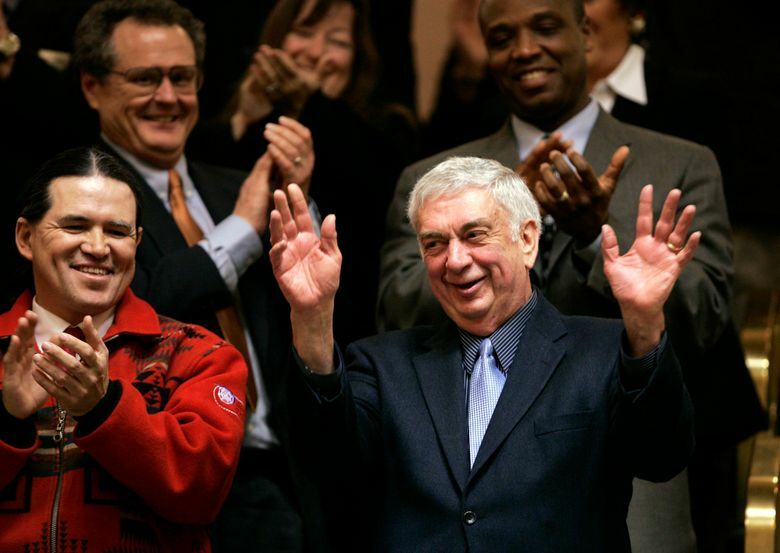 On Monday, former aides and politicians from both major parties remembered Gov. Lowry as a principled leader who believed in the power of government to do good. “He never ran for office to wield power for the sake of having power. 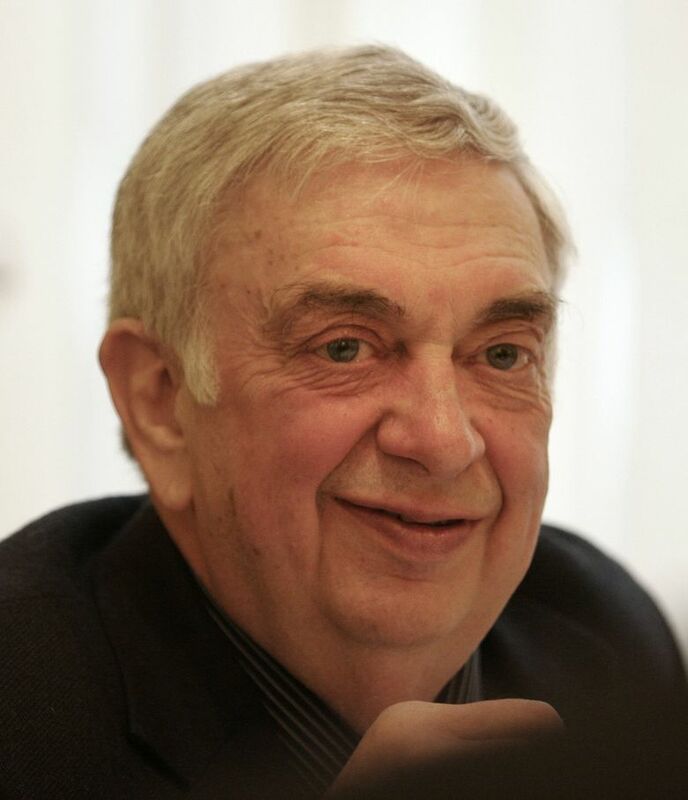 For Mike it was always a means to an end, advancing the public interest,” said Mark Brown, a longtime friend who served as director of the state Department of Labor and Industries. One such stand came as a freshman congressman when, in keeping a campaign promise, Gov. Lowry proposed the first legislation to give financial reparations to more than 100,000 Japanese Americans and Aleuts interned in prison camps during World War II. His bill did not pass, but it helped spark efforts that led to the eventual signing by President Ronald Reagan of the Civil Liberties Act of 1988, which offered a formal apology for “the grave injustice” and $20,000 to each surviving victim. “Mike certainly was willing to have the courage to speak out about his convictions. We helped to build the foundation for legislative redress,” said Ruthann Kurose, a Lowry congressional aide. Born in St. John, Whitman County, in 1939, Gov. Lowry graduated from Endicott High School and Washington State University. His parents were New Deal Democrats, and their son followed suit. In the 1980s he was a fiery Reagan critic, decrying budget cuts he said would harm the poor and opposing the administration’s aid to the Contras, the right-wing guerrillas in Nicaragua. Gov. Lowry also helped pass the 1984 Washington Wilderness Act, and was a leader in protecting state maritime habitat and in requiring safety equipment on commercial fishing vessels. He was known for his love of talking politics and policy, pretty much any time and anywhere, former aides said. As a congressman, he would hold six or more town hall meetings a month. At one such meeting about the Japanese-American internment reparations, a crowd of angry military veterans showed up, including some “who thought we were giving money to Japanese soldiers who ran the Bataan Death March,” recalled former aide Steve Finley. The town hall was supposed to stop at 9 p.m. Instead, Gov. Lowry stayed until 11 p.m., when the janitor kicked him out. “When those vets left, they were happy. He cleared up all the misunderstanding,” Finley said. Over the years, Gov. Lowry’s annual summer shrimp feeds became “must attend” events for young political organizers, Democratic U.S. Sen. Maria Cantwell said in a statement. “When you heard him speak, you weren’t sure if you were at a political event or spiritual revival,” she said. Despite his Democratic fervor, Lowry could work across the aisle when needed to pass legislation. Former Republican Gov. John Spellman got to know Gov. Lowry when the Democrat unsuccessfully challenged him for King County executive and later was elected to the County Council. “I consider him a real friend. We could work together even though he was a strong Democrat and I was a strong Republican,” Spellman said. Gov. 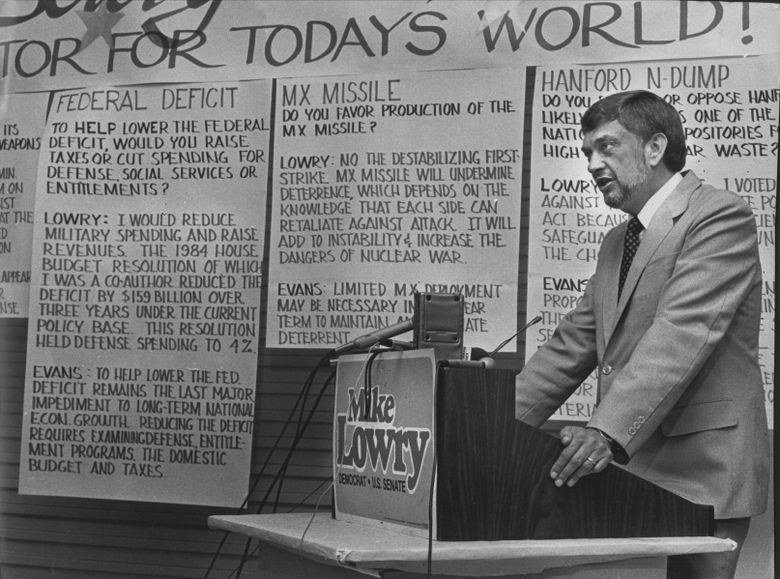 Lowry ran unsuccessfully for U.S. Senate in 1983 and 1988. 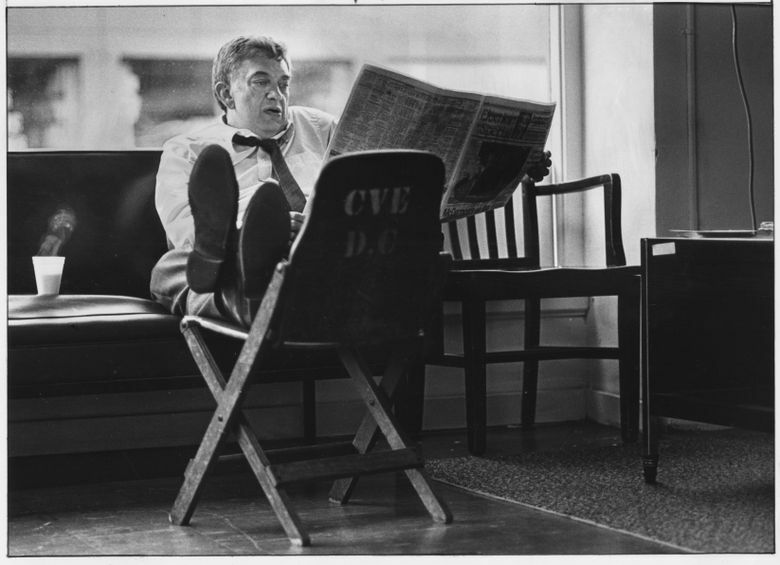 In 1992, He defeated then-Attorney General Ken Eikenberry to become the 20th governor of Washington. As governor, he raised taxes and pushed to preserve and expand aid to low-income families. Notably, Gov. Lowry launched an early experiment in health-care reform, signing a bill to provide universal health coverage. But it never went into full effect. Within a couple of years the core of the law — an individual health-insurance mandate — was repealed, leading to a cratering of the individual insurance market. Gov. Lowry signed into law safety protections for migrant farmworkers and also played somewhat against political type — angering some union supporters — when he pushed for civil-service reforms making it easier to fire underperforming public employees. Kent Caputo, Gov. Lowry’s former chief counsel, said he loved immersing himself in the details of such policies. “He was the smartest staffer in the room,” Caputo said. Gov. Lowry’s political career wound down in 1996 when he declined to seek re-election following accusations of sexual harassment by several women. He denied the allegations, saying his friendly pats and hugs had been misunderstood. The only case to be formally investigated was resolved when Lowry agreed to pay a former deputy press secretary, Susanne Albright, $97,500 to prevent a lawsuit. Gov. Lowry ran unsuccessfully for state lands commissioner in 2000. After leaving office, he volunteered for nonprofit organizations, including one building homes for migrant farmworkers in Central Washington. He is survived by his wife, Mary; daughter Diane Lowry Oakes; son-in-law Scott Oakes, two grandsons; sister Suellen Lowry; two nephews and a niece.